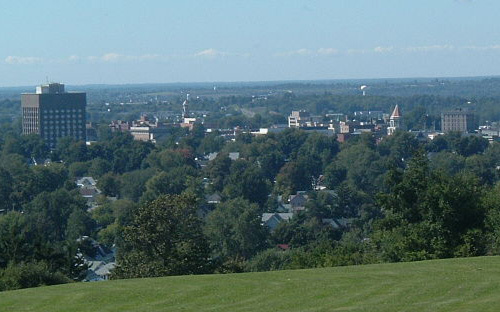 City of Watertown NY as seen from Thompson Park Schwerzmann & Wise, P.C. is dedicated to the community in Watertown, New York and beyond. The law firm is a member of the Greater Watertown Chamber of Commerce and the Downtown Business Association. It has supported community events such as the Sackets Harbor Historical Society's annual summer concert series and the Festival of Trees. Individually, our attorneys are active participants of the community. Many serve as trustees on boards of community organizations such as the Roswell P Flower Memorial Library, Fort Drum Regional Liaison Organization, Jefferson Community College, Jefferson Community College Foundation, Samaritan Medical Center and the Fort Drum Regional Health Planning Organization, among others.